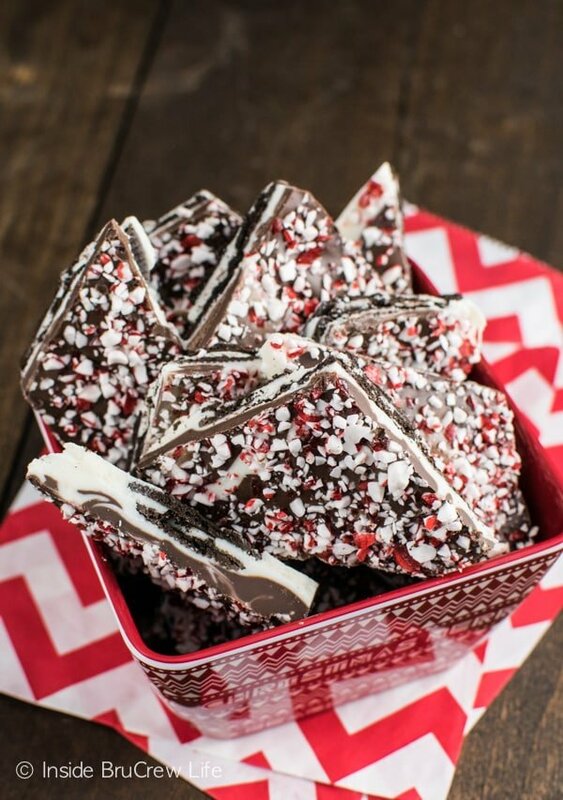 But trust me…this easy Peppermint Oreo Bark needs to be added to your trays! It only has a few ingredients and can be done in about 15 minutes. That’s only a few minutes before you can be snacking on peppermint goodness! Plus, I couldn’t leave without one last peppermint treat for the season. I thought this was the perfect ending to my peppermint phase. Believe me, breaking up is hard to do, but my jeans are so mad at my snacking habits this month. It’s not pretty. But oh, it tasted so good!!! 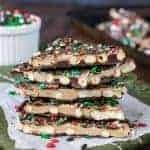 Last year I made this Candy Cane Pretzel Bark, and then promptly ate half the batch. True story! So this year, I thought I would try something different. Turns out putting Oreo Thins in the center of chocolate and peppermint doesn’t stop you from munching. My sweet tooth needs rehab! 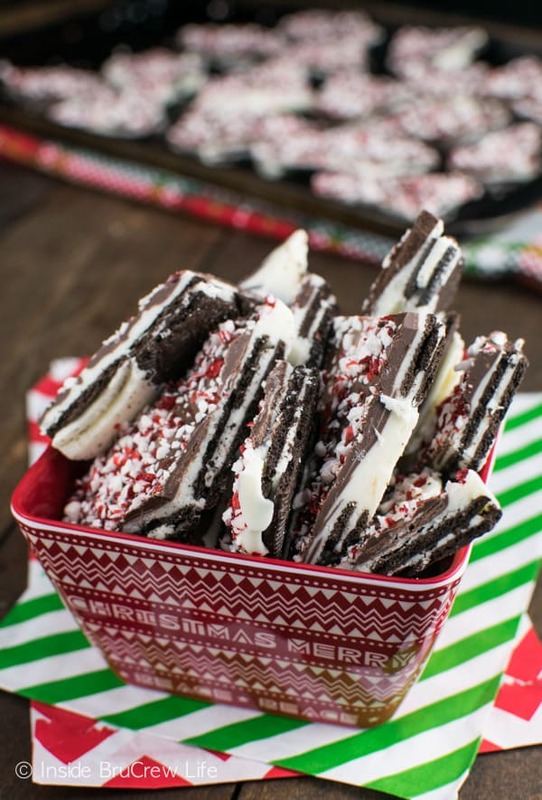 Using those same cookies and making Peppermint Bark Oreo Thins is another reason I need to rehab that pesky tooth. Swirls of dark and white chocolate, crunchy cookies, and sweet peppermint bits is never a bad idea. Well, that is if you have willpower and can resist that kind of holiday goodness. My plan is to work on finding my willpower in January. Until then, you can find me hiding in corners with chocolate smears on my face. Use a good quality chocolate for the bark. Not only will it melt smooth and creamy, but it will taste good too. Line your pan with foil or parchment paper. This will help you get all the chocolate goodness out after it sets. Spread just a little bit of melted white chocolate on the back of the cookies before putting them on the foil. This keeps them from moving all over the place when you spread the rest on top. Drop the chocolate in puddles over the top and then swirl gently. 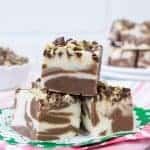 If you swirl too much, it will just be a chocolate layer on top. It’s up to you how much to swirl. Sprinkle the peppermint bits on top before the chocolate sets. Use a knife to cut the bark into triangles. It doesn’t break right just using your hands. Give away most of the bark away before you eat it all! 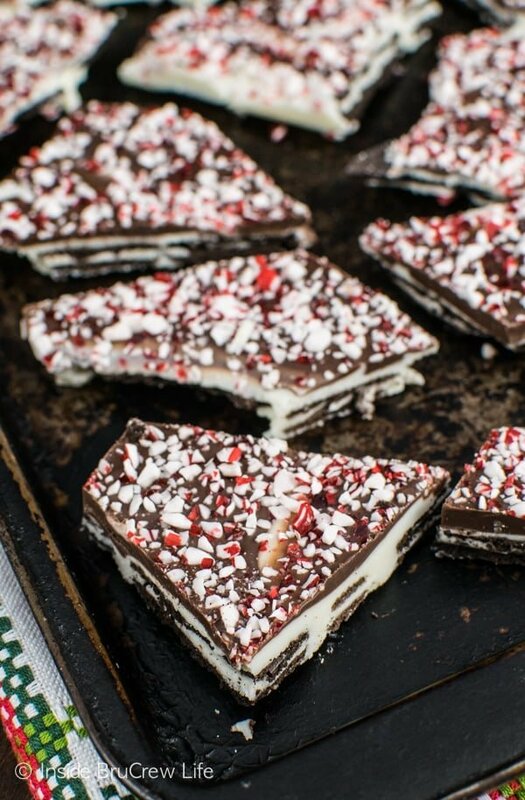 Thank goodness I was able to send most of this Peppermint Oreo Bark to our church. I didn’t want to be the only one who couldn’t fit in their jeans. I mean I wanted to share the peppermint happiness with everyone. Wink, wink! 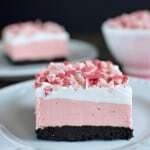 Peppermint Oreo Cheesecake – this easy no bake cheesecake has layers of chocolate, peppermint, and whipped topping and is so pretty. 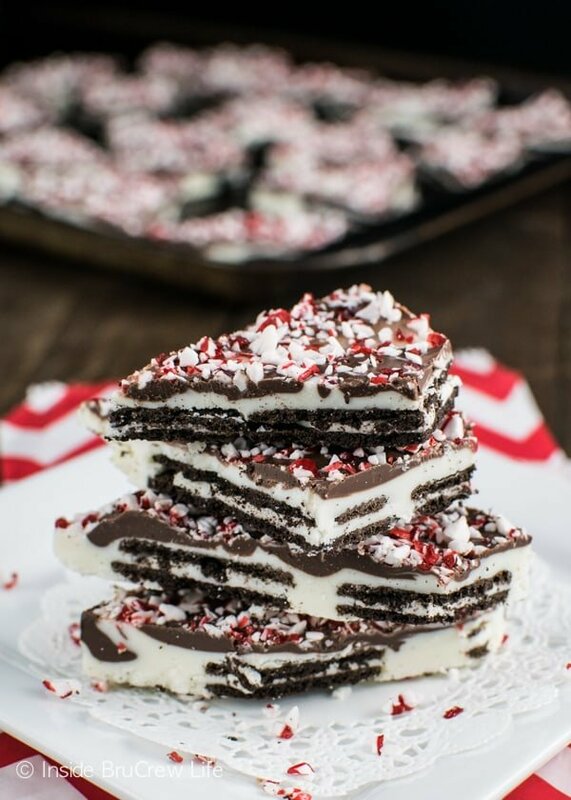 This easy no bake Peppermint Oreo Bark is a delicious and easy treat to make for last minute parties. Spread the rest of the white chocolate over the top of the cookies using a flat spatula. Drop the chocolate by spoonfuls over the top. Swirl gently until you get the pattern you like. Sprinkle with peppermint bits. Let set. For the holidays, we always make four or five batches of bark. Jocelyn this looks so good! Happy Holidays and Merry Xmas to you and your loved ones!! 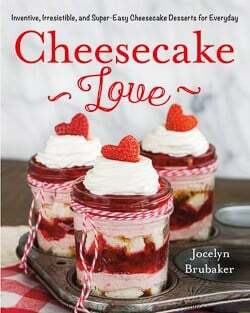 This looks amazing Jocelyn! 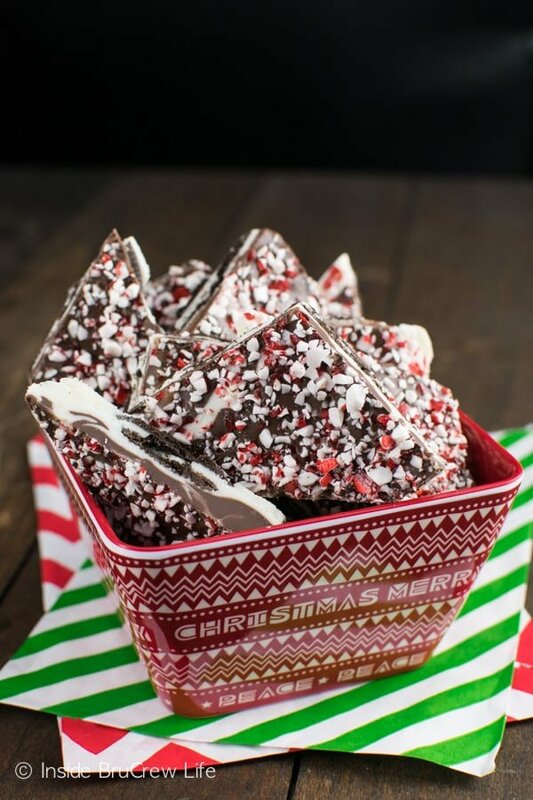 Peppermint bark is the best! I hope you and your family have a wonderful holiday! Everyone appreciates recipes that are fast this time of year.This bark is beautiful and would make a great gift and is sure to be a welcome addition to holiday feasting! Wishing you and your family a joyous, peace-filled Christmas and New Year! kentuckylady717 says these look great and I love that you used mostly white chocolate too 🙂 thanks Jocelyn…..I do want to make these….my daughter and I just made cookies for 2 days last week….sent some to my son in PAKISTAN…..he will love them….we made peanut butter balls, fudge, ritz cracker covered chocolates and pecan tarts……they all were yummy…… I bet he would love these too……maybe next year…..
Looks so delish! 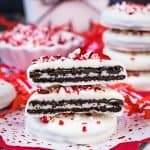 I have quite a few oreo lovers in my family who would love this! I’ve given up on sweet tooth rehab. It’s not worth the gray, cold thing that life becomes! This looks worthy of being completely devoured! 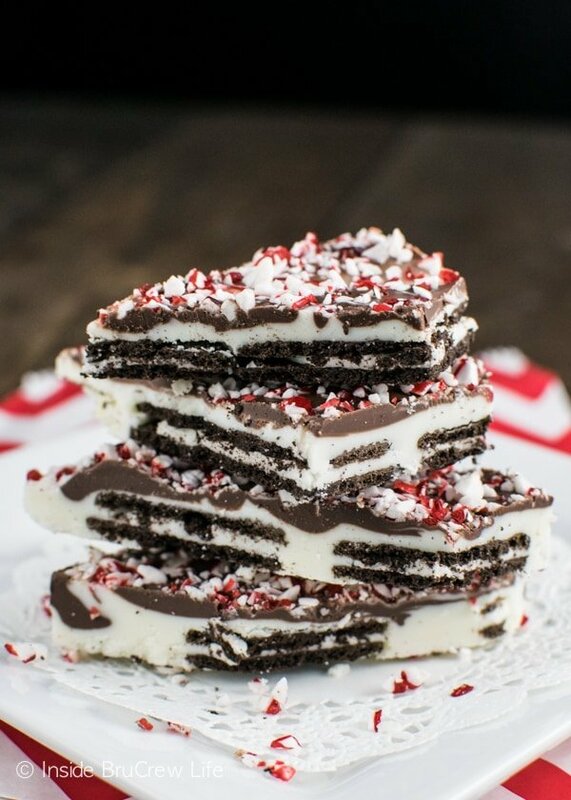 Oreo Peppermint Bark – the ingredient lists chocolate melting wafers, but then the tip said to use a good quality chocolate. I’m only familiar with Wilton melts… is there another brand you recommend? And, could you use chocolate chips instead? 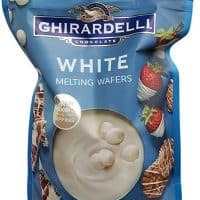 I personally prefer using Ghirardelli melting wafers. They taste so much better, and most grocery stores and Walmart have them in their baking aisle. You could use chocolate chips, but the bark would melt in your hands so much quicker. 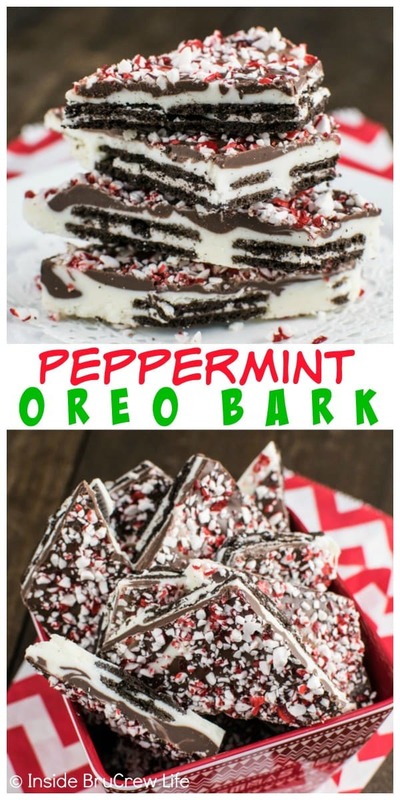 I made this this year instead of my regular peppermint bark. I will never go back to the other. 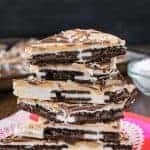 These are so delicious and easy to make. My family loves the crunch of the Oreos. Thanks for this terrific recipe. Hi–could you tell me what 2 1/2 cups of white chocolate melts would be in ounces or pounds? Trying to get an idea of how much chocolate I’ll need for a large quantity. Thanks! I just pulled a 10 ounce bag of white melts out of my pantry and measure it. It was about 1 1/2 cups, so you would need 2 of these bags. Or you can buy a big bag of melts at Sam’s Club and have plenty. I hope that helps, and that you enjoy the bark. 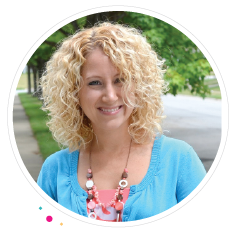 Made this last year – got rave reviews (and my jeans hated me too!! ;). 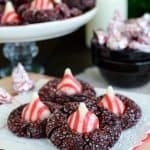 I had to come back to this recipe first thing when someone mentioned a cookie exchange next week. I know, not a cookie. Seriously though, who needs 12 different kinds of holiday COOKIES when you can have a little piece of heaven instead!! I made this so many times last year that I decided to just double it on the front end this time. At least I’m pregnant this year… a bit of jean expansion is ok, right?! THANK YOU (I think :)!!!! I understand the dilemma. My jeans hated me after I made this too! It’s just so good!!! I made this for a cookie exchange. It was the hit! I put the little broken pieces in a bowl and they were gone within 2 minutes. I took your advice and sent all of it home with the ladies except 3 pieces for me. They are gone and now I wish I had more. I had trouble with my white chocolate splitting and had to add cream to bring it back. Hoping that it will still taste ok..? I used actual chocolate rather than melts so perhaps that was the problem? I would agree that the reason is didn’t work as well was due to the chocolate. I like to use Ghirardelli chocolate melts for treats like this. 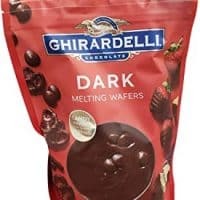 The chocolate melts so well, and tastes amazing.